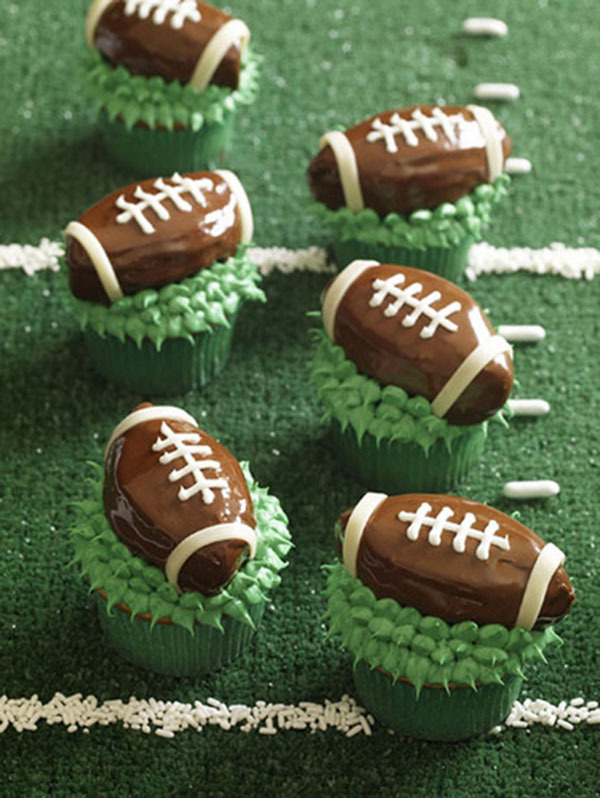 We have some more seriously lovely football cupcakes for you to give you all sorts of ideas and inspiration for your football parties. 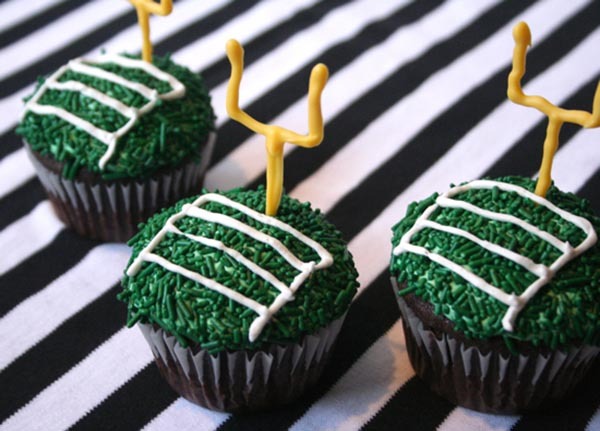 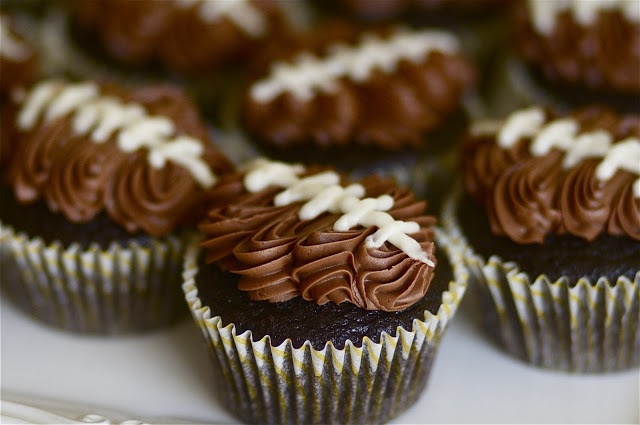 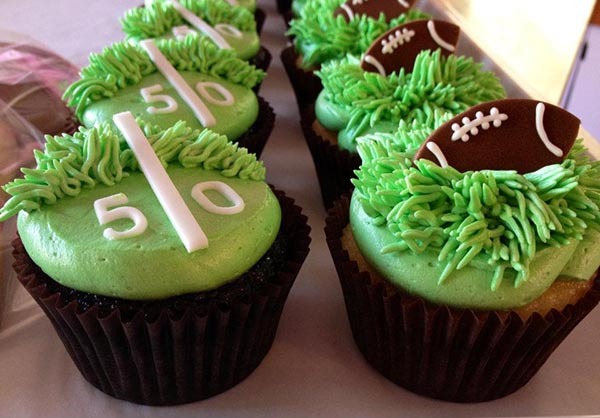 We rounded up some of our favorite football cupcakes last year but bakers go to bake and boom, here came some more lovely ideas this year. 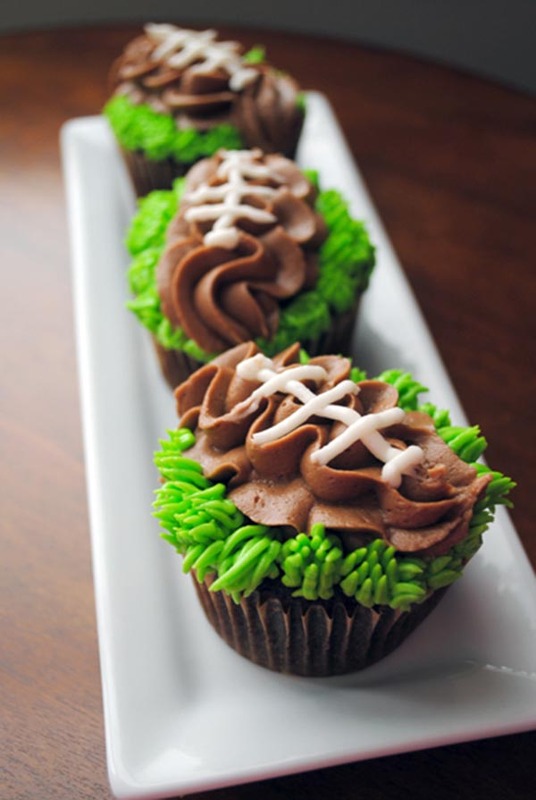 Can we just tell you our minds are totally blown on how many different ways you can put a football on top of a cupcake? 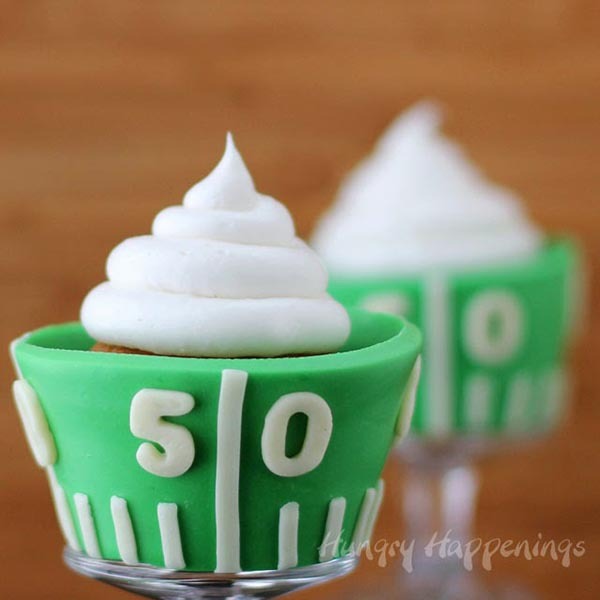 Really, there are so many ways! 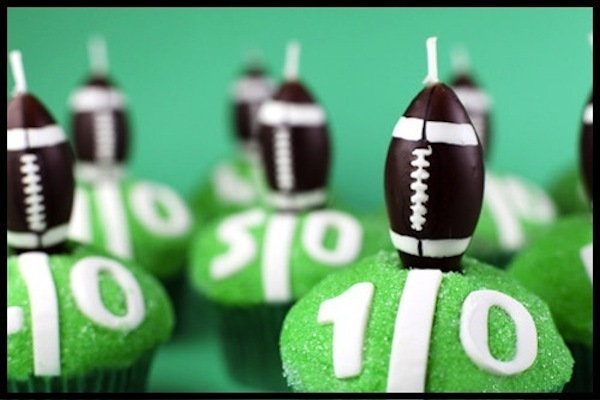 You can pipe it on, you can use a football cookie, a football oreo or a toy football just to name a few. 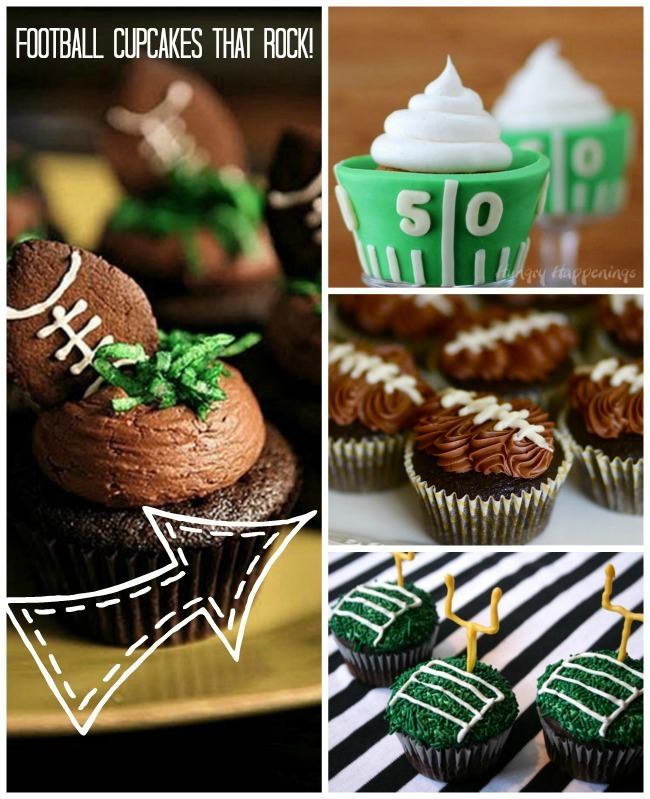 There are some really lovely ideas using football fields on cupcakes too that we have included in this fun little round up. 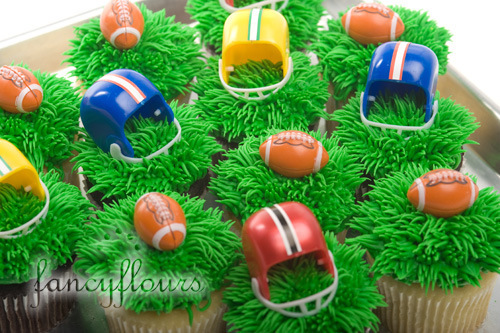 We are totally loving football goal posts on cupcakes though, or really anywhere for a football party, that we have been seeing everywhere. 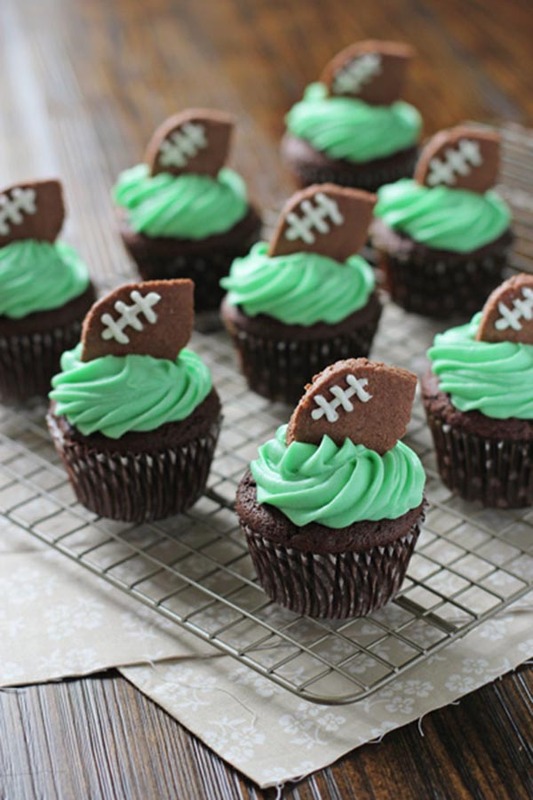 We can’t wait to show you all of these fabulous football cupcake ideas that you can totally do yourself. 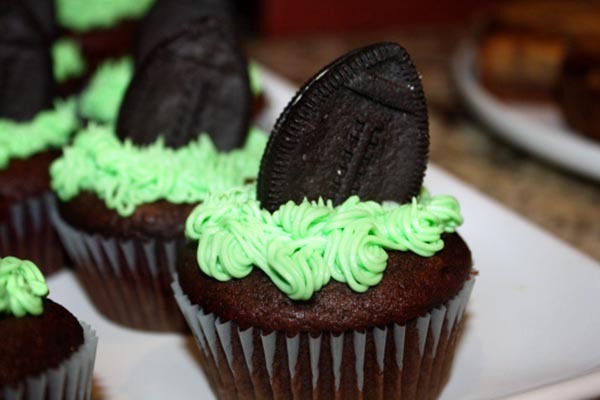 Make sure to click the link under your favorite one to get the tutorial! 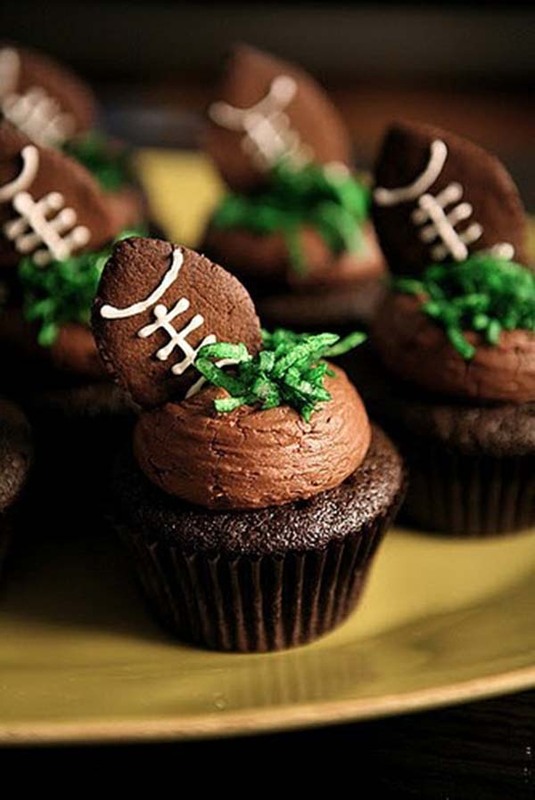 Oh yeah we love the football cookies on top!